Learn & Growth: Skills in the organization (internal resources), work environment and technical means to promote the company’s strategy. 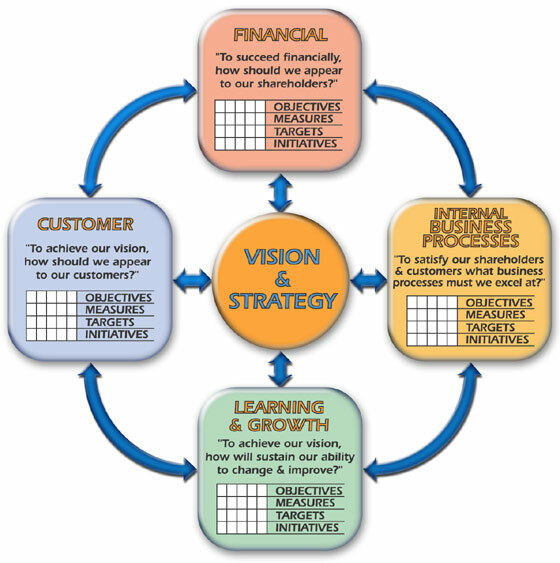 Internal business processes: These are the main processes that meet customer expectations and financial goals. Customer: In the context or market in which your business operates, how and on what criteria, your company and its products will be placed to reach the intended target in your strategy. Financial: They are part of the main results that your business needs to sustain, to grow, and / or to meet the shareholders expectations.